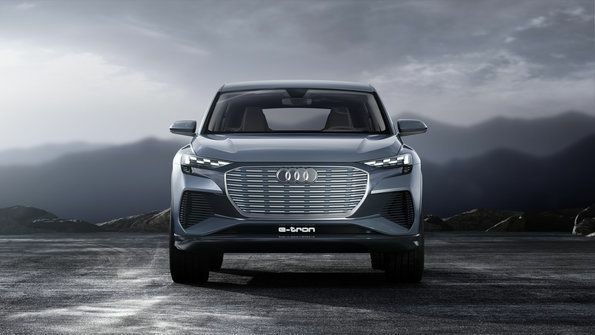 Audi unveiled the next vehicle in its all-electric lineup: the Q4 E-tron SUV. Smaller than the regular E-tron, the compact Q4 still packs a nice punch, with 280 miles of range, twin electric motors, and a total power output of 225 kW. But it won’t be hitting dealerships anytime soon: the vehicle was released only in concept form this week at the Geneva Motor Show. 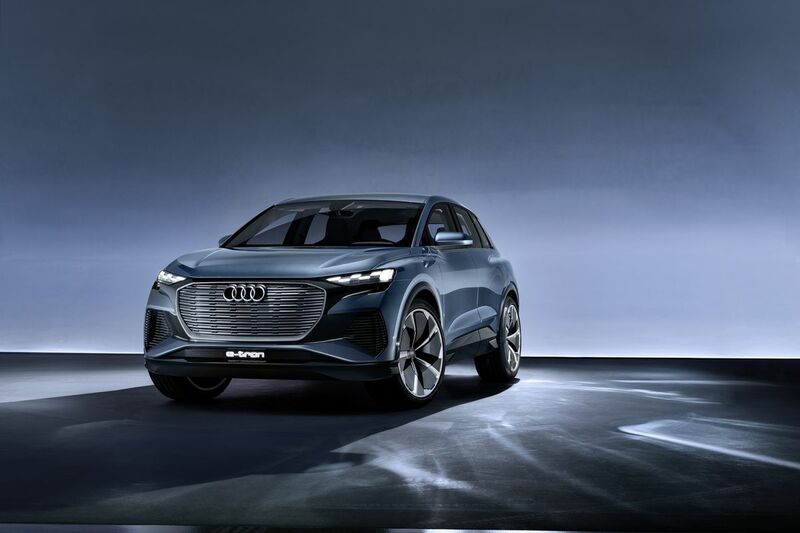 First teased in 2016, the E-tron is Audi’s first real response to the push from parent company Volkswagen Group to electrify its entire lineup of cars by 2030. At first glance, the Q4 looks just like the E-tron, only slightly shrunk down. The compact SUV is 4.59 meters long (180 inches), 1.90 meters wide (75 inches), and 1.61 meters tall (63 inches). 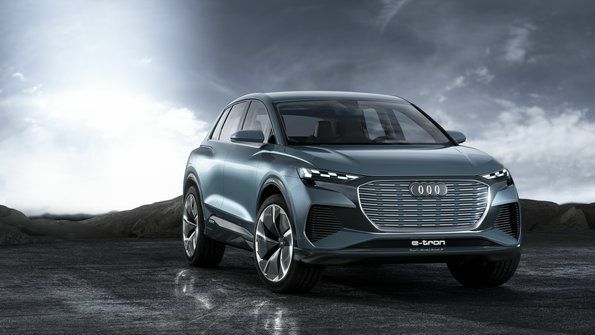 Audi isn’t revealing the price yet, most likely waiting until we’re closer to the planned production launch at the end of 2020, but expect it to be priced cheaper than the $74,800 E-tron. The Q4 is based on VW’s “Modulare E-Antriebs-Baukasten,” which is German for “modular electric drive matrix.” The company is betting big on its MEB platform, which will serve as the basis for the 10 million electric cars it hopes to eventually sell. 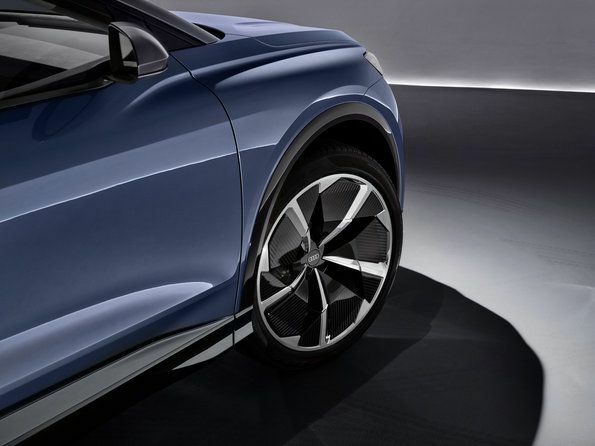 With an 82 kWh battery pack taking up almost the entire space in the underbody area between the axles, the Audi Q4 will travel 280 miles (450 kilometers) on a single charge — or about 40 miles further than the original E-tron. Audi is basing its range estimate on Europe’s new WLTP standard for estimating EV range, and it should have no problem getting up to a real-world range over 200 miles. The Q4 can sprint from 0 to 100 km/h (62 mph) in 6.3 seconds, and it will have a top speed of 180 km/h (111 mph). 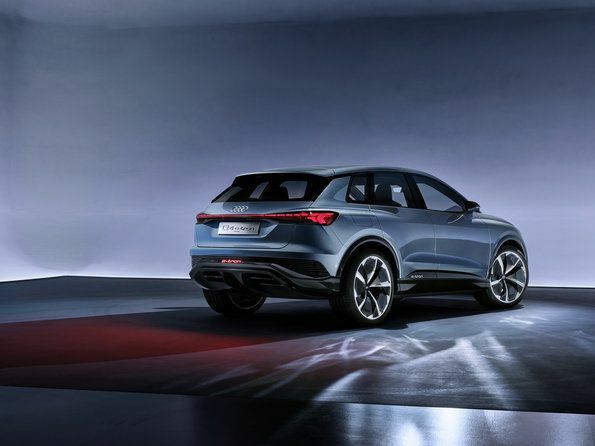 While there might not be much to distinguish the Q4 from the E-tron, unveiling a compact SUV is still a savvy move by Audi. 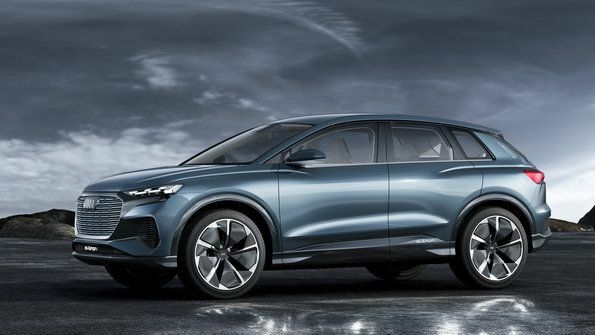 The small SUV and crossover segment is increasingly important, and it will be getting crowded soon enough. Tesla plans on revealing its own crossover, the Model Y, at an event in California on March 14th. Audi unveiled another electric car at Geneva, albeit still in camouflage wrap: the E-tron Sportback. 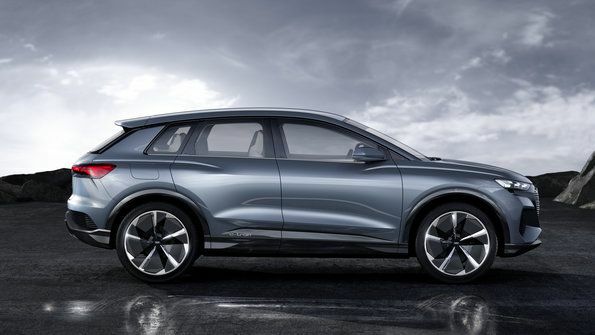 A new electric-powered SUV coupe and sister model to the E-tron SUV, the Sportback is planned to go on sale before the end of 2019.